Clinique have expanded their Aromatics range with the launch of a new Aromatics in White Fragrance. 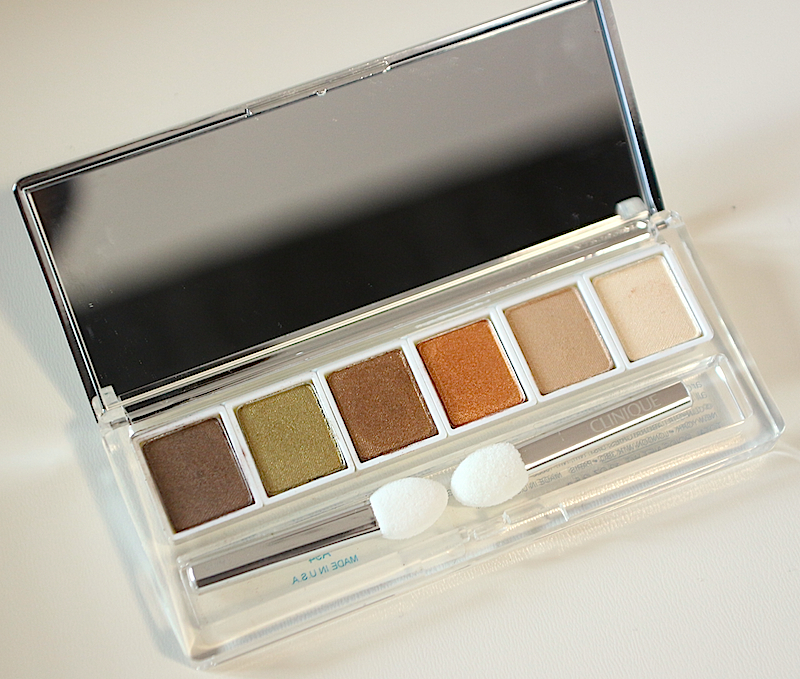 To celebrate the launch, they have also released a limited edition eye shadow palette called Aromatics in White All About Shadow 6-Pan Palette. The shades (from left to right) are Olive in my Martini, Medium Shade of on Safari Squad, Dark Shade of Buttered Toast Duo, At Dusk, Light Shade of Beach Plum Duo and Light Shade of Buttered Toast Duo. It’s quite a neutral yet warm palette, with shades of olive, coppery gold and a light brown combined with a couple of lighter shades, which on my skin tone work better in my inner tear duct to open up my eyes. All the shadows work well together and can be combined to create a combination of looks. The shadows are quite pigmented, and are lovely and velvety in texture, making them really easy to blend with great colour payoff. They all have a nice metallic sheen to them, so if you apply a primer or base first they will pop really nicely against most skin tones. This product comes in a sweet little compact, which makes it perfect if you are on the go or traveling and only want to take minimal makeup along with you. It also has a reasonably sized mirror as well as two foam applicators, although I would advise using brushes over foam applicators for a more professional finish. Clinique Aromatics In White All About Shadow 6-Pan Palette is priced at £30. You can purchase it from the House of Fraser website.